Depart Dock 2 Stokes Hill Wharf at 1600 for a fundraising adventure through the Timor Sea into Bynoe Harbour. 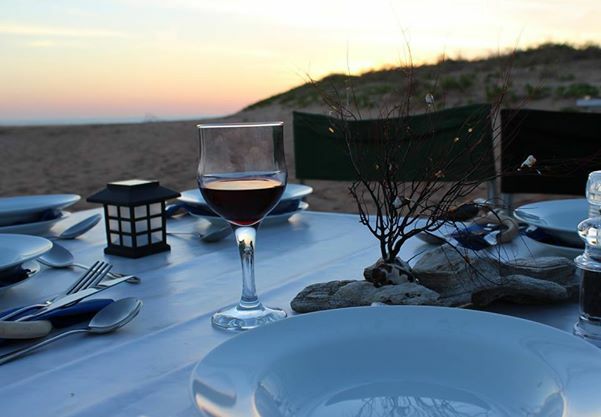 Included is a fast boat ride along the coastline to Bare Sand Island, drinks (wine, beer and soft-drinks) and nibbles at sunset on Bare Sand Island followed by a moon lit dinner at the most remote alfresco pop up restaurant in Australia. With AusTurtle researchers and volunteers as your hosts, you will assist with the collection of data as you witness the egg laying ritual of nesting sea turtles and send hatchlings into the sea to begin their life journey. Moon lit return to Stokes Hill Wharf - departing Bare Sand Island around midnight. This is an incredibly unique event with all proceeds going to the continuation of Sea Turtle research and conservation.